Summer time is here and the 4th of July is quickly coming up. 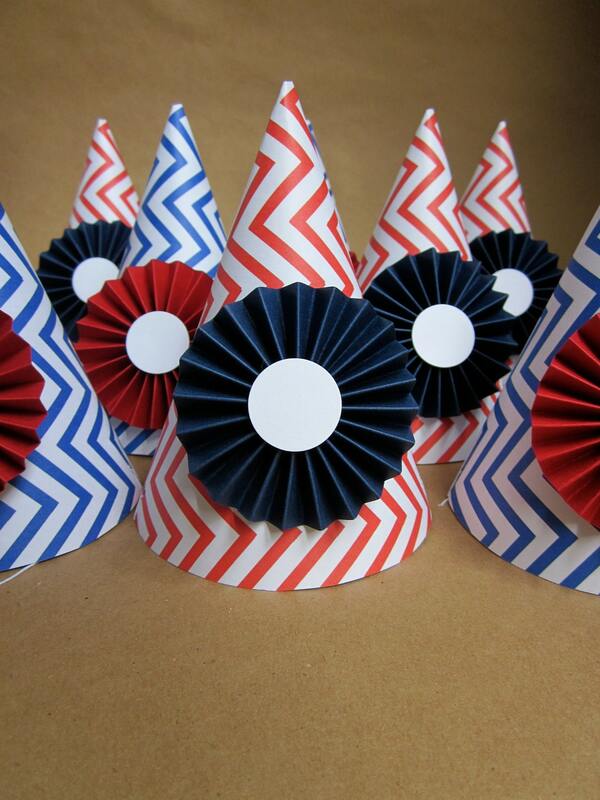 in the shop.... Red, White, and Blue Chevron Printed Party Hats!!! In actuality, you can have them made in any color combo you prefer, but I love them in red, white, and blue. Such darling hats for 4th of July parties!